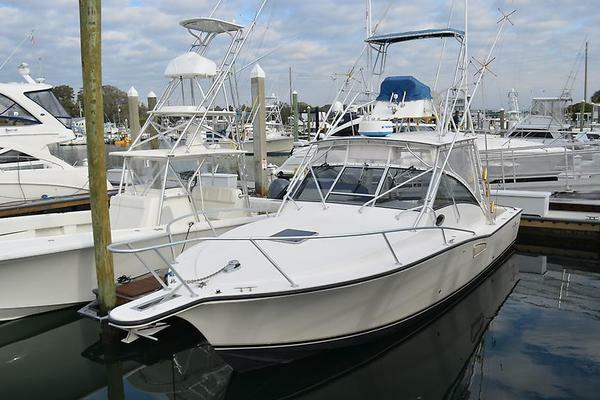 ANOTHER PRICE REDUCTION- OWNER WANTS BOAT SOLD! !ALWAYS KEPT IN DRY STORAGEWhy buy a new stripped-down 39 Coupe and take the 1st year depreciation, when you can buy a fully loaded used 39 Coupe at a tremendous discount with the peace of mind of the same factory warranties (Tiara and Volvo) for much less? This boat was maintained with an open checkbook and run by a professional captain.Additionally, since its purchase this yacht was rack stored at an indoor facility and never left in the water for extended periods of time. It was professionally maintained and regularly detailed, it is a no excuses fully sorted out yacht!The owner has just relayed his deep ccommitment to selling the yacht this season.Do not miss out on the chance to be the next owner of the finest yacht of its type and value on the pre-owned market today.Make an offer!﻿CUSTOM OPTIONS:-Custom forward sundeck, custom sun pad and cover. (Cost $5700)-Stereo upgrade including additional amp, two additional interior speakers and two additional 8" outdoor cockpit speakers. (Cost $1995)-Custom forward Mediterranean sunshade and storable mounting poles. (Cost $2758)-Upgraded cockpit upholstery Diamante taupe with dark taupe accent stitching. (Cost $288)-Folding high-end bicycle with custom storage bag for dockside transportation. (Cost $750)-Aft cockpit carpet in beige (Cost $1000)-Spare props/prop holder. (Cost $9000)-Upgraded warranty from Tiara extending factory warranty from 2 years to 3 years.-Upgraded warranty from Volvo, extending factory warranty from 2 years to 5 years. (Value $21,000)Total value, custom options: $42,500Tiara yachts truly are made in America! Manufactured in Holland Michigan, this US built boat has an advantage over foreign manufacturers. Parts and service are typically half the cost of boats built outside the United States! United Yacht Sales New Jersey would love to guide you through a personal showing of this 39' Tiara 39 Coupe 2018. 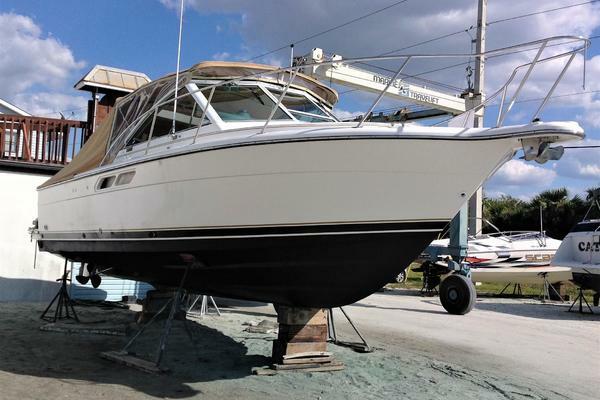 This yacht for sale is located in Hallendale, Florida and priced at $535,000. For a showing please contact us by filling out the form on this page and we will get back to you shortly! Remaining Tiara5 yeartransferrablehull warranty Exclusions apply refer to the 2018 warranty statement for specific details and coverage areas. * Engine hours are as of the date of the original listing and are a representation of what the listing broker is told by the owner and/or actual reading of the engine hour meters.The broker cannot guarantee the true hours.It is the responsibility of the purchaser and/or his agent to verify engine hours, warranties implied or otherwise and major overhauls as well as all other representations noted on the listing brochure.